Parental Ideas: New England Revolution are offering an exclusive early Black Friday deal! New England Revolution are offering an exclusive early Black Friday deal! The New England Revolution are offering an exclusive early Black Friday deal running now through Cyber Monday, November 27. 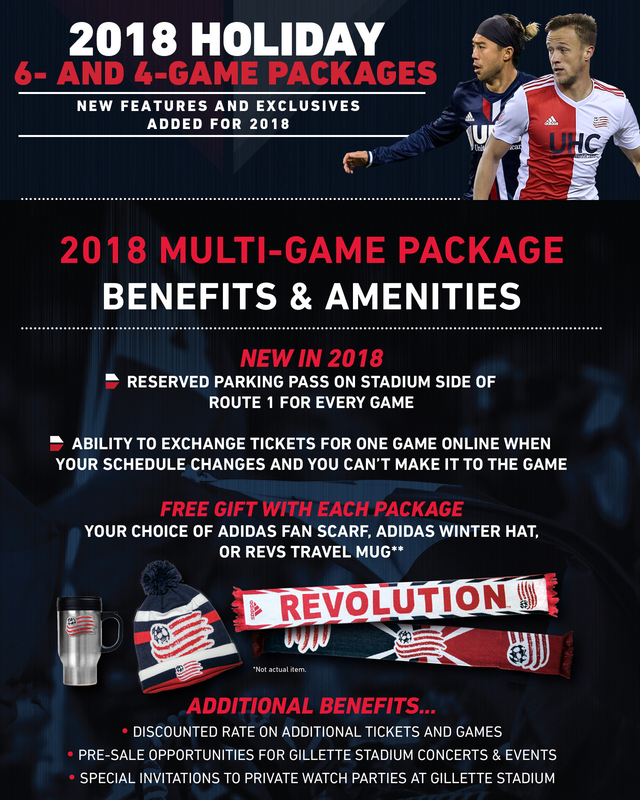 You can purchase six match tickets to see the Revs in action for the price of four — over a 45% discount — plus, a free gift of either an Adidas fan scarf, winter hat, or Revs travel mug! This Holiday Ticket pack is perfect for any sporting fanatic or as family-fun. The package also offers ticket holders a reserved parking pass for each of the games and access to be part of the Revs Gold Seating Group which offers bonus discounts on additional games, access to exclusive Gillette Stadium pre-sales for concerts and events and special invitations to private watch parties at Gillette Stadium. 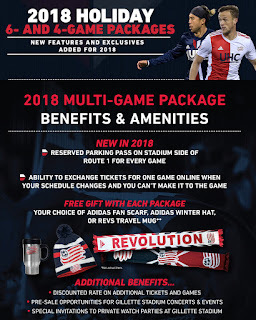 This holiday offer is available at www.revolutionsoccer.net/2018-holiday-packs or by calling (877) Get-Revs. NOTE: We are providing this information to our readers. We did not receive any compensation in exchange for this post.